The Villa Finca Ma'Dolores (also knows as Finca Maria Dolores) is located in beautiful natural surroundings, on the banks of the Río Guaurabo, and just 2 miles west of Trinidad City. It is a delightful option contrived as a traditional rural farmstead, complete with milking demonstrations, an aviary, and even traditional cockfights. 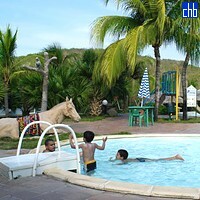 It draws in the tour groups for horseback riding and lunch with folkloric shows, but overnighting guests are surprised to find that the accommodations are modern and the amenities up to date. 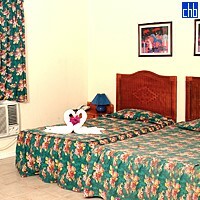 Its 19 air-conditioned rooms and 26 cabins are furnished with contemporary rattan pieces. There's nothing stylish about them, but they're sufficiently comfy and come with satellite TV and small refrigerators. Cabins also have small kitchens. This is a good place to simply lounge poolside with views through the trees towards the Sierra Escambray. 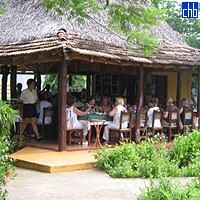 The thatched rustic restaurant serving traditional criolla food is delightful, especially when the shows are hosted. At night you can join a Guateque (typical peasant party), during which all genres of Cuban country music are sung and danced. 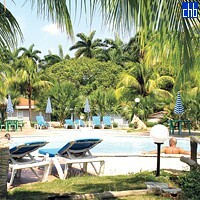 Finca Ma Dolores Hotel has a nice outdoor swimming pool, a terrace with a green play area for children and a bar. The reception is open 24 hours and staff is always ready to help. 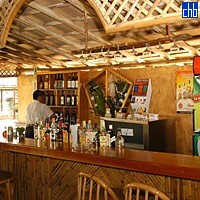 The farm has 45 rooms: 19 standard and 26 cabanas newly decorated and spacious. The best-preserved colonial city in Cuba, in the shadow of the Escambray mountains, Trinidad was not even linked by road to the rest of the country until the 1950s. Declared a national monument by the Cuban government this city is very much as it was four centuries ago, the beauty of its baroque architecture and cobblestones squares harking back to a bygone era when Trinidad was a key player in the Caribbean slave trade. There are many interesting things to see (e.g Guamuhaya Archaeological Museum, Plaza Mayor, Church of Santa Ana, Calle Simon Bolivar....) but the most impressive of all Trinidad's many museums is Trinidad Municipal Museum and a visit to the Taller Alfarero, a large ceramics workshop where traditional techniques are still used is also worthwhile.